Preparation and planning is crucial in business, and choosing the right partner to work with is just as important. We offer a variety of forecast data feeds depending on your exact needs. Do you have a single location or do you need every zip code in the country? 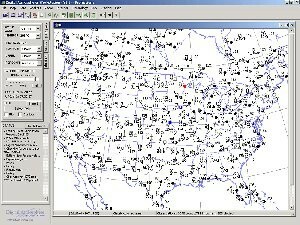 We will collaborate with you to customize hourly or 5-day forecast data feeds for just about any location in the world. And as the exclusive provider of the highly accurate USL forecast model, we can pinpoint your forecast with an accuracy of 80-meters!